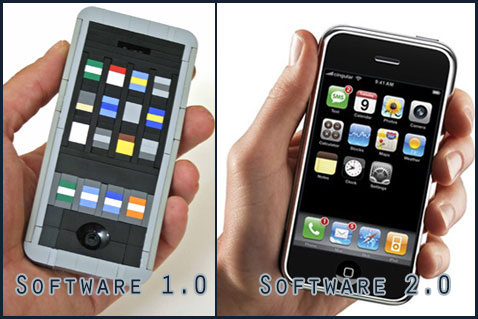 I'm one of the iPhone users from the world that are really looking forward to the iPhone 2.0 software release. The update will be available in June, but the iPhone Dev Team already got their hands on this fine piece of software. Better yet: They hacked it to let it run 3rd party application. And the best: It will be released this week. A downside: It was going to be released on the 30th of March, but it had a couple of delays. They're improving the script & making a Windows version of the application. Pwnage Tool Application releases sometime in the next week for Mac OS X 10.4.x, 10.5.x and Windows. The tool contains revised logos and icons. PwnageTool does NOT ship with any Apple licensed software, Intellectual Property, trademarks, logos or images. As my Mother would say “If you are going to be late, arrive with flowers”. For more information about the PwnageTool and why it was delayed, check the iPhone Dev Team news page. You can also check out the interview on theiphoneproject with some images showing custom applications running on the iPhone 2.0 software. I wonder when the first open source (Java?) applications will run on the iPhone 2.0 update. What do you think?